Here's a hint: it's natural, and it doesn't come in a can. This year, 2017, nearly half of all Americans will drink or will have drunk coffee outside of the home. Do you realize how many green straws that is? People are surging to coffee shops looking for some extreme energy. Energy is attractive to just about everybody: early risers with a commute; parents trying to survive their kids waking up at obscene hours; dedicated gym-goers before the gym body traffic, etc. But the solution to sustaining energy isn’t clear across the board. Most are consulting coffee. The current data show youth drinking more coffee than adults like never before. I say “adult” because most of the youth looking for extreme energy are not adults. From ages 13-18 (or post-millennials/Generation Z), youth are demolishing coffee and doing so extravagantly–what we call “gourmet” coffee. Not only is the unprecedented rise in coffee consumption a caution for health, it is also a bane of our wallets, especially when gourmet coffee, ranging from tall plain coffees at $2 each to venti frappuccinos, filled with sugar, at upwards of $5-6 each. That is unreasonable. And for most Americans, getting caffeine should not need its own budgeting plan; it shouldn’t cost us so much. We believe that strongly. As the economy presses its mighty hand on all of us, especially on the young generation, we might lean toward stimulation as a distraction. And that is okay, provided we find the right source of caffeine for us. Caffeine is the most consumed central nervous system (CNS) stimulant. 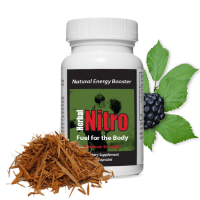 It increases energy metabolism in the brain and affects the local release of dopamine, the chemical in the body that plays a heavy role in our motor control, motivation, sexual gratification, and much more. While dopamine is naturally released in the body, caffeine helps activate the neurons in our brain to release more dopamine. Since caffeine is readily consumable, most Americans experience this CNS reward daily; and the way many are getting it is by stopping by the coffee shop on the way out of the house. It’s no doubt that caffeine lends to moderate mental awareness and acuity. The research bears out that, under certain thresholds between roughly 75mg and 200mg, most caffeine consumers experience vigilance and visual attention increases. In cases where the caffeine consumer is a habitual one, the dosage can rise up to 400mg. You can bet that 400mg of caffeine can render some pretty extreme energy, provided the consumer isn’t desensitized from drinking too much coffee. But do you need to load your system with 400mg of caffeine to get the mental benefits? Caffeine, in tandem with providing mental awareness, is also known to be a considerably rich source of antioxidants. 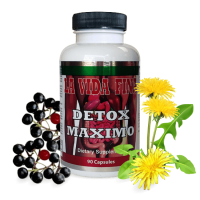 Whether you want to compound the antioxidant effect of caffeine or find an alternative, there is no better way than powerful mixtures of nature’s own cleansing agents. For more information on these benefits, read about the best natural detox ingredients. Is coffee the only solution? A few years ago, only 10% of dedicated coffee drinkers would say they were addicted. While addiction is a medical term, we anticipate that number will rise as they always do. But we don’t need to be dependent on coffee; and we also don’t need to be dependent on caffeine. Caffeine is a great way to give yourself an alerted boost and aid you in whatever physical or mental venture you have before you: but remember that the body has its ways of naturally giving you energy. Supplementing your body’s natural energy is the healthiest choice above all. It means you don’t need to spend hundreds to thousands (if you go for the gourmet drinks) a year on stimulants; and it means you don’t have to stop at a drive-thru before work every morning to get your fix. We recommend a healthy lifestyle filled with fruits, vegetables, protein, and lean fats, along with plenty of water throughout the day. And if you find yourself needing that extra energy–or perhaps on some days you need extreme energy, choose a convenient and cost-friendly alternative. Don’t do your body’s job when it comes to your energy levels: just help it out.